If you were to wear a pedometer for a few days, what kinds of figures do you think you’d be looking at? Do you regularly hit the activity target of 10,000 steps a day or five 30-minute sessions per week, or are you more inclined to view the stroll from the parking lot to your desk as your daily workout? If you’re not as active as you’d like to be, it’s very easy to make changes. There’s an assumption that you have to go crazy in the gym to get fit, but that’s simply not the case. Moving your body more will always be beneficial, whether you choose to embrace gym life or you’d rather go jogging, swimming, cycling or trampolining. If you’re keen to get fit or you’re interested in getting into exercise, here are some tips to take on board. Making a decision to walk more is one of the simplest ways to be more active. If you rely on your car to get around, or your day involves traveling from your home to work and back again, making a concerted effort to take more steps will benefit you enormously. Leave the car at home if you’re taking a short journey, take regular breaks to stretch your legs at work, and make time for a stroll in your lunch break or in the evening when you get home. It’s useful to wear a pedometer or a step counter to see how you’re doing, and how far off your goals you are. Build up the number of steps you take each day, and make use of your spare time. If you’ve got a free Sunday, get out for an hour or so and take a hike in the hills or a walk along the beach. 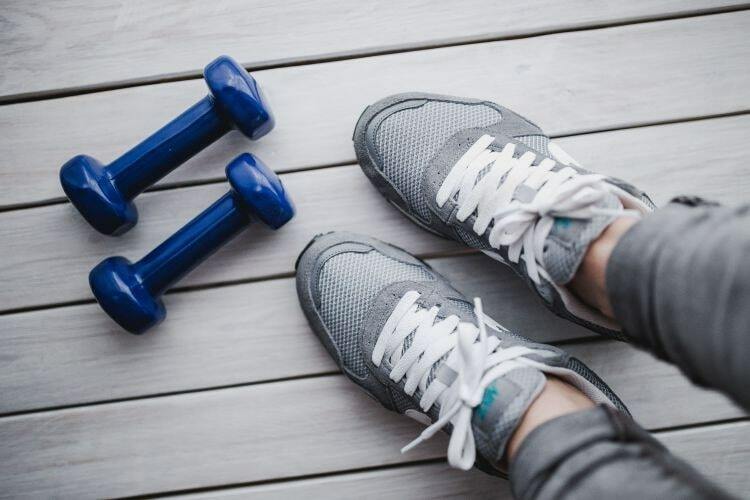 If you’ve never been to the gym before, or it’s been a long time since you exercised on a frequent basis, it’s understandable to be nervous about taking that first step. Many of us have an image in our heads of a room full of perfectly sculpted bodies. The truth is that you may run into people with bodies that boast rippling muscles, but everyone has to start somewhere, and it’s highly likely that you’ll come across plenty of people who haven’t got physiques straight from the pages of fitness magazines. Don’t be intimidated by others, and focus on what you’re trying to achieve. Many people don’t go to the gym to get a six-pack or biceps the size of small dogs. They go to de-stress, to enjoy that natural high working out gives you, and to improve their health and wellbeing. If you are nervous, why not take a friend with you or go to some beginner’s exercise classes first? If you’re not a gym bunny, your casual wardrobe may not contain attire that is suitable for running, cycling or taking on a spin or aerobics class. Rather than enduring the unenviable task of working up a sweat in worn leggings and t-shirts you usually reserve for painting, why not invest in some workout gear? If you look the part, you’ll feel more confident, and the fact that you’ve spent money on kit will also motivate you to hang in there and keep up with your fitness program. There are some great athleisure items available from brands like secondtoNAKED. Once you’ve got the right clothing and you’ve got goals in mind, there’s nothing to stop you smashing your targets and embracing your new, more active lifestyle. How do you usually get to work? If you drive, you take the bus, or you ride the subway, have you thought about other ways to get around? If you don’t work miles and miles away, could you cycle or walk to work instead of using public transport or a car? Cycling provides a full-body workout, and you’ll burn around 50 calories per mile. You can also dodge lines of traffic, and enjoy the fresh air. Make sure you wear high-visibility clothing and a helmet if you do choose to cycle to the office. A lack of time is the most common excuse people give for inactivity. The truth is that most of us could find half an hour to work out if we really wanted to. If you struggle to get to the gym, you don’t live near a pool, or you can’t leave the house in the evenings because you have kids to look after, home workouts could be the solution. You can choose from a diverse range of workout techniques, and you don’t have to factor in travel time. You can fit exercise in around your schedule. If you don’t have a huge amount of space and you don’t want to spend a lot of money, why not download workout sessions from the Internet or use DVDs? You can choose from an array of activities like yoga, Pilates, boxing, and high-intensity interval training, or you can use basic equipment like dumbbells and a mat to design your own workout. Another option is to create your own home gym. Look out for second-hand equipment like treadmills, exercise bikes, and elliptical machines online if you don’t want to buy brand new machines. Inactivity increases the risk of a host of health issues. The good news is that it’s easy to embrace a more active lifestyle. You don’t have to devote all your leisure time to lifting weights or running for miles. Making simple changes to your routine and making time for exercise can make all the difference to both your mental and physical health. Walk more, consider modifying your commute, and don’t be afraid to try new things like exercise classes or gym workouts. Kit yourself out with some new workout gear, and make an effort to move your body more every single day. Even if you just walk around the block during your lunch break or take the dog for a jog instead of a gentle stroll, you’re moving in the right direction. If you struggle for time, working out at home is a fantastic option. Whether you want to get fit or you feel that it’s time to put your health first, hopefully, this guide has given you food for thought.